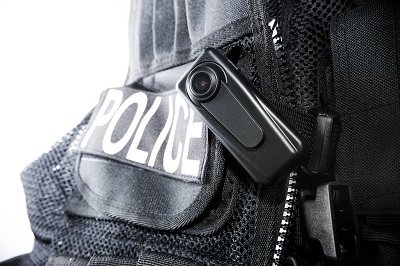 For years, criminal defense attorneys, public citizens, lawmakers, law enforcement agencies, and others have debated the merits of using in-car cameras and body cameras. That debate heated up as police mistreatment of minorities took center stage in America over the last several years. After numerous stories of police officers shooting fleeing or unarmed suspects, who typically were black, the focus and clear need for objective video footage became even more apparent. Now, many law enforcement agencies have both in-car and body cameras as well as microphones that capture audio during interactions. While the quality isn’t always great, it is usually sufficient to make out what is going on between police and their suspects. But this does not always benefit the suspect. Take for example the recent arrest of Sherita Dixon-Cole, a 37-year-old female arrested in Texas for a drunk driving charge. Sherita – like any other arrestee – did not like the idea of being charged with a crime simply because she had a drink. So, instead of fighting the case in court on its merits, she decided to take a very different approach. Sherita told a civil rights attorney that she had been assaulted and raped by the officer who pulled her over after she refused to accept his proposal to let her go in exchange for sexual favors. Apparently Sherita did not know that the police in that jurisdiction had body cameras with mics and that the entire interaction was recorded. Sherita’s story went viral thanks to blogger Shaun King and civil rights attorney S. Lee Merritt. Merritt provided a statement that was taken up by King and further redistributed. Unfortunately for all of Sherita’s proponents, it turned out that her story was far from true. Based on the two-hour bodycam footage currently available on YouTube from the Texas Department of Public Safety, it is clear that Sherita was in no way inappropriately touched, or even spoken to, by the officer. The moral of this story is a simple one: if you think you have been wrongfully accused of a crime, your best bet is NOT to falsify a story about the arresting officer. That will only lead to bigger problems, possibly criminally and civilly. Sadly for Sherita, based on the video footage that was available, she appeared to be relatively sober and may have had a shot at beating her case. However, with her credibility destroyed, she likely has no shot at winning her criminal case. If you have been accused of or arrested for a crime, but believe you did nothing wrong, you need to assert your rights (e.g., tell the police you do not wish to say anything and ask for an attorney), comply with the officer’s commands as far as the arrest process is concerned, and fight the case in court with an attorney. If you take the same route as Sherita, and it can be proven you falsified such serious allegations, then your credibility will be destroyed, and your chances of convincing a judge or jury that you are telling the truth (this time) will be very, very difficult. Call us first before you decide to take action so we can help guide you through the legal process without jeopardizing your case.